My name is Joseph, Yosef is Hebrew for Joseph and means God will prosper. 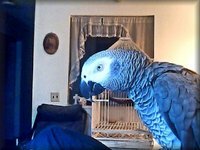 This is my parrots name is Otis , his name means means "one who hears well" it come from the German name Otto. He talks and dose all kinds of tricks.